Some events are shocking enough for us to later remember where we were when we first learned of them. You know, like the 9/11 attacks and, if you’re old enough, Jack Kennedy’s assassination. In November of 1963 my family was living in Salisbury, Southern Rhodesia. Nowadays it’s called Harare, Zimbabwe. For much of the time we were residing there Rhodesia was a British colony but just two months prior to our departure, a group of the white landowners led by Ian Smith formed a government and declared their independence from England. Apparently, after seeing what happened with the transition in East Africa, they were concerned enough about the future of their investments to derail any attempts by the British government to do the same thing there. In 1963 I was a student at Mount Pleasant Boys’ High School. I was in the 2nd Form, roughly equivalent to the 7th Grade in the US school system. I had a lot of schoolmates there were close friends, close enough that it was quite common for us to stay over at one another’s homes for a night or two during the holiday breaks between terms or over the occasional weekend. There was this one friend whose father was a detective in the municipal police forces. He had an older sister and brother. I was a guest of his family when I learned of the historic event. My friend’s name was Peter Ward. The day before we’d mucked around for much of the afternoon after school but I don’t remember what we did. I do remember having dinner. Peter’s mother and sister attended to all the kitchen work while we boys and their father talked story. I don’t remember what we talked about but suspect we were making plans for an epic Saturday. I remember that we were all telling jokes and laughing up a storm. At one point just after having a good laugh, we all took a sip of our milk and then, suddenly all remembering the joke again, started laughing with the milk still on its way down. Milk gushed out of all our nostrils simultaneously. What a mess! As there was no room for us all to fit in Peter’s bedroom, we decided to spend the night on small beds in an enclosed porch. When I awoke the brothers were already up and readying themselves for breakfast. As there was an unusual chill I asked for a sweater. I remember that they didn’t have any that fit quite properly, but after several attempts, settled on one. Peter took the rejects back to his room. An announcement blared out of the radio just as Peter was making his way back. 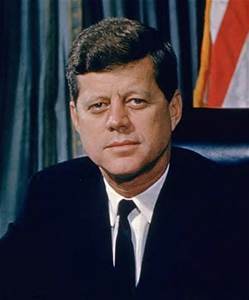 Jack Kennedy had been assassinated. Peter ran to the enclosed porch to deliver the news. Peter remained in Rhodesia after independence and raised a family. I think he had five children. He’s retired these days and spends a great deal of his time in Namibia. He may be a widower. As the economy in Zimbabwe is in tatters, many of those of European descent have been obliged to leave, some to Namibia where they scrape together a living as tour guides. I think that all of Peter’s children reside in the UK as does his older sister and perhaps his brother. I’ve reached out to Peter but he hasn’t responded. I suspect he’d rather just spend his retirement fishing. Forty pounds of rhubarb for a shilling! If memory serves, my family ventured into the Great Rift Valley four times, once soon after arriving in Kenya, two more times on the trip to and back from Kampala, Uganda and one final time to make a second courtesy visit to an agricultural mission located on the east escarpment. The coinage used in British East Africa deserves some discussion. As in the UK, pounds and shillings were used but they didn’t trouble themselves to use pence or farthings. Despite that, in school we were obliged to master basic feats of accounting using all four denominations. 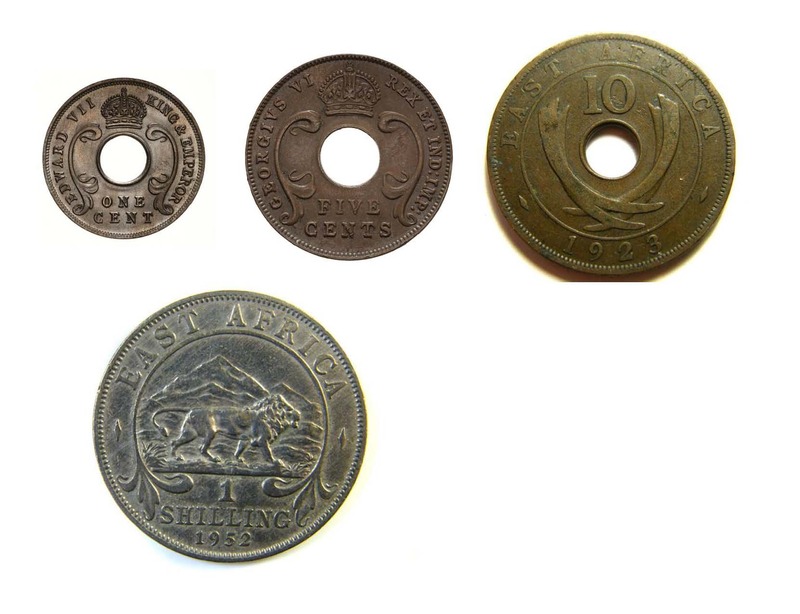 Presumably to keep things simple, in East Africa shillings were subdivided into one hundred cents. In those days East African pounds matched the value of British Pounds which roughly equated to around US $2.60. There was something rather curious about the coinage. Just four coins were minted, a penny, a five cent piece, a ten cent piece and a shilling. British coinage including threepences, sixpences, florins (two shillings) and half crowns (Shs. 2/6) were also in circulation but rarely seen. The indigenous smaller denominations were minted of copper and featured central holes that allowed those who processed them to store them on sisal strings hung about their necks if they so desired. The shilling was minted in silver and was typically only used by those of European or Subcontinent descent. As far as I can remember, this mission had been setup by some North American church as a means by which to introduce Western agricultural methods to the natives. Both times we visited the mission, it was managed by an apple farmer from Southwestern Michigan. Although we didn’t spend much time there on our first visit, this time we spent the better part of the day and, in addition to being served lunch, were treated to a rather comprehensive tour of the facilities. I don’t remember what they grew there and I doubt that whatever it was that it included apples. One thing did stand out though. As there were no electrical utilities serving the area, the mission was obliged to use a diesel-powered electrical generator. That generator was one of the items that was brought in during the Michigan farmer’s tenure. It was housed in a small out building that featured flip-up side half-walls. They only ran it for a few hours each day to support crop processing operations. By the time we left, the sun was low in the West. As sunrise and sunset occur with some rapidity at the equator, father decided that we best leave lest we be obliged to make the ascent up the escarpment in darkness. About half way the escarpment up my parents spotted a pair of native boys standing at the side of the road next to a couple of bushels of something later ascertained to be rhubarb. At my mother’s insistence father stopped to ascertain the quality of whatever it was they seemed to be hawking and if deemed acceptable, negotiate a transaction. There was an apparent language barrier. Or so it seemed. After my mother had found the rhubarb to be acceptable father attempted to negotiate purchase. He held up different copper coins but was unable to ascertain how much some finite amount of their rhubarb could be bought. Finally he held out a shilling. Those kids had apparently never seen a schilling before and suddenly become especially exited. Then, as one of the kids grabbed the shilling, the other emptied the entire contents of their two woven cane grocery pockets into the back seat of the car where I was seated. Then the pair of them bolted out of sight into the bush. They had, possibly for the first time, a shilling and we had forty pounds of rhubarb! Because rhubarb doesn’t keep, we had to share it with others and can as much of it as we had jars. On the final leg of our journey home we stopped by a family we knew from Texas. Their mother was happy to take as much of the rhubarb as my mother would give her. In the days that followed mother worked to can as much of the rhubarb as she could. A day or so later that lady from Texas stopped by with several rhubarb pies and some cobblers she’d made using some Southern recipes. My mother baked up some desert treats as well. I recall eating deserts made with rhubarb for weeks! One of the first things I had to get used in Kenya was tea. I knew what tea was of course but I’d never actually tasted any. Back stateside it was quite common for adults to drink coffee year round and iced tea in the summer but children seldom drank either. With regards to tea drinking, they strictly adhered to schedules laid down early in the industrial revolution which dictated that tea was to be consumed several times daily. And it wasn’t just for the adults, for children, even those enrolled in primary school, were expected to do their part to uphold these rituals. School started promptly at 0800 and ended at 1330. One or the other of my parents would drop me off in the morning and pick me up again in the afternoon. Although there were no formalities in the morning, boys were expected to tip their hats to the school mistress assigned to monitor pick up and girls were expected to curtsey. If you failed to execute these formalities, those assigned would get very cross. During the day we had several breaks including one in which we were obliged to make our way to a small outdoor canteen where tea and Marmite sandwiches were served. If we had sandwiches of our own, that was when we could eat them. The Marmite sandwiches were laid out on single slices of white bread cut from unusually large loafs, perhaps six inches square. On these was spread butter and then Marmite. If you’ve never tasted Marmite, it’s an especially salty spread derived from a yeast extract. I can just hear the collective “Yum!” Marmite and its Australian cousin “Vegemite” can take some getting used to. I never did get used to either. And then there was the tea. If memory serves, the tea they served was a locally grown variety scooped from large metal-lined boxes that were just over a foot and a half in height. It was dark but not black. The other kids were usually given to load theirs up with lots of sugar and then pour in some of the local raw milk. I don’t remember seeing any lemons. I never acquired a taste for the stuff, at least not in those tender years. Suffice it to note, tea was everywhere. There was once curious thing: they had no idea what iced tea was. On one of our family excursions to this or that game park we experienced some unusually hot weather. At the end of the day we arrived exhausted at a bush hotel. As was usually the case, this hotel consisted of an archipelago of round huts surrounding a building fashioned in the form of a miniature expat club. In addition to the lobby and the dining room there was a large covered veranda. Once we settled in, we adjourned to that veranda to contemplate dinner. We were the only guests so we were waited on by all the waiters then on duty. The first order of business was refreshments. Father asked for ice tea. The wait staff didn’t speak English well enough to quite get that order right. Within a few minutes out came a regulation boiling hot pot of tea, a tea strainer, tea cups and some sugar. “No!” father retorted “I asked for ice tea!” This was followed by blank stars that betrayed a general cluelessness. Undeterred, dad then ordered up a bowl of ice and some tall glasses. They understood that. After a few minutes the wait staff reappeared with the requested items. Then my father performed a heretofore unseen feat of pure magic! He put some ice in each of the glasses and then added tea through the strainer provided! You should have seen the collective look of astonishment that appeared on each and every one of their faces! It was if Dr. Christiaan Barnard had been suddenly conjured up and then spontaneously performed his first heart transplant! The native chatter didn’t subside for at least fifteen minutes. They’d seen ice tea for the first time. 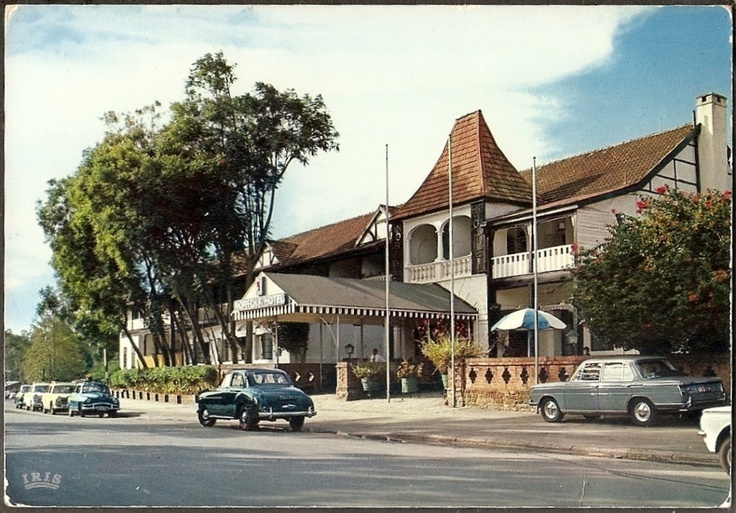 Sometime in 1959 we drove from Nairobi down to the coast to visit Mombasa and Malindi. If Malindi wasn’t as far as it was (is) from Mombasa we might have taken the train. The trains deserve a few words. Shortly after arriving in Nairobi it became apparent that the English, who’d developed the railroad system, had decided to use some rather unusual locomotives. These locomotives, pictured above, were common throughout Britain’s African colonies. They’re unusual in that they’re articulated into three sections. The boiler’s mounted on a central frame suspended between two steam engines mounted on separate frames, one on each end of the boiler. Water is stored in a tank mounted above the front frame and coal in a tender mounted above the aft. This articulation allows these large locomotives to negotiate tighter curves and lighter rails than conventionally designed locomotives. The objective was to double the power of the largest conventional locomotives that could be operated on the lighter-duty rail lines while reducing the need for multiple locomotives and crews. Some years later diesel-electric locomotives were purchased by the East African Railroad (EAR) but Garratts remained in service until the 1990s. The newer locomotives were more complex than the Garratts and required more diligent maintenance, an unfortunate fact that’s obliged the cash-strapped railroads in Robert Mugabe’s Zimbabwe to bring their Garratts back into service recently. Due to economic issues, petroleum is too costly for widespread use. As a consequence, the Zimbabwe railroads offer commuter rail service to those working in Harare and Bulawayo. 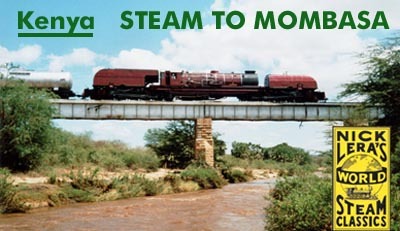 Octogenarian Garratts can still be seen chugging along Zimbabwe’s rusty rails. If memory serves, Mombasa is just shy of 500 miles from Nairobi. It took a full day to drive down to the coast. As on other excursions, we traveled with another US family who drove down separately. 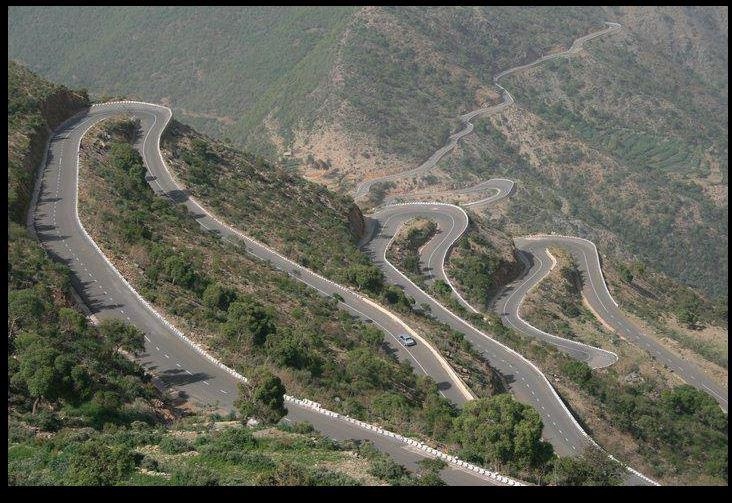 In those days the road was largely unpaved except for the first mile or so east of the Nairobi airport and the last ten or so miles on the descent from the central plateau down to the coast. The landscape for much of the trip, except for a few rivers along the way and the final ten miles, was largely a barren scrub. It was dusty, dry and hot as most vehicles in those days weren’t equipped with air conditioners. From time to time the authorities let contracts to have the road paved though the contracts were usually short-lived. I recall hearing an explanation I cannot verify. Shortly after crews were mobilized, their bush encampments would be ransacked by gangs said to be sympathetic with the railroad workers who feared losing their jobs once it became easier to drive down to the coast. Malindi We’d rented an ocean-front home in Malindi, some fifty or so miles north of Mombasa. The home was situated on what I estimate was five-acre plot. The home had its own cove separated from adjacent coves by sharp coral outcroppings that ensured privacy. There was a beach but we had to wear tennis shoes when going in the water to avoid getting cut by coral which extended out about a hundred and fifty meters to a reef. At low tide we could carefully tip toe out to that reef where the surf pounded away. One night, during a full moon, we were able to make our way out there by moonlight. The sea lanes ran right by the reef, so close that it was possible to actually hear the rumblings from ship’s engine room and see into the portholes. You could even see passengers walking about the decks and make out the names of the ships if they were illuminated. The house had two large bedrooms, one for each family. It featured a thatched roof and with the exception of the bathroom, had no ceilings. Because the interior walls were not full-height, it was possible to chuck things from room to room and hear what your neighbors were up to. We had to be quiet. We were cautioned to keep the exterior doors tightly latched to guard against roving bands of mischievous monkeys. We could keep the windows ajar as they were equipped with burglar bars which also served to foil the monkeys’ entry attempts. British pensioners who resided in the area were known to keep large dogs to guard against these monkeys but the monkeys were smart enough to occasionally outsmart the dogs and get in anyway, and when they did, they mucked everything up. One day we drove down to Mombasa to visit the posh Oceanic Hotel. My father hadn’t troubled himself to tell us why we were going to the Oceanic but insisted that we dress up. Never did that in Africa before! Why? 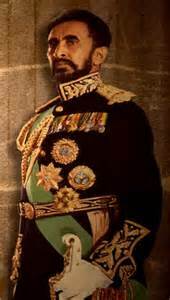 Father had learned from the Consulate staff that Haile Selassie, the Ethiopian emperor, was to make an official state visit. 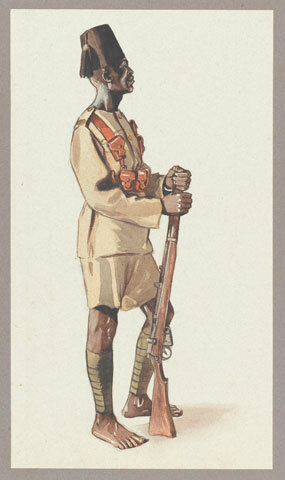 Kenya was still a British colony at the time but arrangements had already been made for an orderly transition to Kenya’s independence. Halie Selassie was in town to meet with Jomo Kenyatta, the man designated to be Kenya’s first Prime Minister. We were in the main lobby when the two men met for the first time. I still had no idea why we were there. My parents stood off to the side while I, at age eight and still quite short, stood beneath one of the landings of the grand staircase which connected to the lobby’s mezzanine. As I was standing there, I saw a group of well-dressed natives approach the staircase and wait respectfully. When they stopped I came out from under the staircase to see what they were all looking at: it was none other than Haile Selassie and his entourage descending from the mezzanine! I was really close to him, probably not more than three meters when he passed by. There was minimal security and we left as soon as the two entourages left the lobby. Dad was full of surprises like that! While we were down on the coast, we took a side trip on a steamer to Dar-as-Salam and Zanzibar. 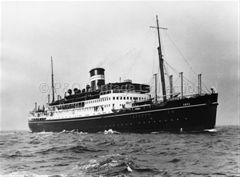 The ship was the British-India Line’s Amra, an 8,300 ton cargo and passenger vessel that plied Indian Ocean trade routes between Bombay (Mumbai) and Cape Town. We spent two days and nights on that ship. We embarked from the Port of Mombasa and traveled overnight to Dar-as-Salam where we were permitted to take leave of the ship by lighter just long enough to get in a quick tour of what passed for downtown. I don’t remember a thing about Dar-as-Salam. That afternoon we sailed for Zanzibar. We were there long enough to hire a taxi for a day-long guided tour of the island. As is probably now the case, the Asian influence was dominant. There was a central bazaar chuck full of souvenir mongers and jewelers always on the ready to sell the innocents abroad something. I remember that father bought mother some jewelry made from sea shells and I got a set of Zanzibar postage stamps. We ate a fine seafood curry and returned to the Amra. That night the Amra returned to Mombasa. About a year after that family excursion, a friend’s mother asked my mother if I might be permitted to accompany them to Mombasa to spend the holidays. Unlike the US, the British school year starts in January and ends in December. Apparently the British were not as concerned as we were regarding agricultural production. There were three terms (not semesters) each separated by a three or six week (at Christmas) break. It was during one of these breaks that that family was to go on holiday. I agreed to go. As the school I went to adhered to a slightly different break schedule, I was obliged to return a week sooner than my hosts. No problem, an older cousin in Kenya on holiday from England had to return a week earlier to catch a flight. I don’t remember much about that trip to Mombasa except that we stayed in a home near a beach that was close enough to town to allow us kids to walk to market and go to cinema. For me the highlight of the trip was the train ride back. My friend’s father took us to the train station in the late afternoon to catch the overnight train to Nairobi. Once aboard, we were ushered to a compartment that we shared with two other passengers who attended university in Nairobi. The train remained at the station for what seemed like hours before setting out. It took ages to get up the escarpment to the central plateau and by the time it did, night had fallen. Because my friend’s mother had packed us some sandwiches and a thermos of hot tea, we’d no need to avail ourselves of the dining car. Instead we munched on Marmite sandwiches and drank tea, neither of which I’d yet to acquire a taste for. At some point I decided it was bedtime, not as easy as one might guess as that train seemed to stop at every mailbox along the entire route! When we arrived in Nairobi in the early hours of the next morning, father was waiting. The family that I stayed with in Mombasa on my second trip hailed from Yorkshire. They were the Hensons. The father was an unusually bright and enterprising fellow who made a small fortune in the timber business. He imported various varieties of timber into Kenya for running trim and manufacturing furniture. He also had various varieties of local tropical hardwoods milled for export. His given name was Tim and he was in the Timber business. His company was appropriately named “Timsales”. How fiendishly multivalent of him? I understand that he made enough from that business to retire in Yorkshire well before he turned sixty. There were three children, a daughter named Pam who was a few years my senior (and given to mix sugar in milk! ), Clive who was my age (and given to obsessively read constantly) and a younger brother named Keith (given to excessive mischievousness). My mother carried on a correspondence, typically limited to the exchange of Christmas greetings, with the mother for years after we left Kenya. By the mid-sixties, the father had already made his fortune and was able to retire comfortably on tax-free residuals in Yorkshire. In the summer of 1966 my parents ponied up for airfare to allow me to go to England for a few weeks. The father and Clive were on hand to meet me at the airport and from there it took but a few hours and several train rides to get up to Yorkshire. Clive was on a school break and shortly after my arrival we decided to go on a sightseeing bicycle trip. In those days before the North Sea Oil came in, England was amazingly inexpensive, so inexpensive that I was able to buy a new Raleigh Sports bicycle equipped with a Sturmey-Archer 3-Speed for just Shs. 17/6, slightly little over $2 at the time! We took trains to various points of interest and stayed in hostels for about a week before we ran out of clean attire and were obliged to cut short our travels. We spent a couple days in London taking in the museums and sights prior to my return stateside. I never saw Clive again. From her correspondence my mother was later able to report that Clive’s reading obsession had prepared him well for university and that upon graduation he landed a job at Rolls Royce. More recently I inquired with Rolls Royce in an attempt to locate Clive but they had no record of him. Perhaps he was a chip of the old block and managed to retire early like his old man with a small fortune to a paradise in an undisclosed location? Does anyone out there know a chap named Clive Henson who’d be in his mid-sixties with his head perpetually buried in a book? Almost from the beginning of our two and half years in Nairobi, my family embarked on several journeys and at least two safaris. Eventually I’ll expand on a few of these but shall here endeavor to provide a brief summary of those I still remember (it’s been over fifty years!). I think one of the first trips we took was to the east escarpment into the Great Rift Valley. On this first trip we were guests of a family from Texas. This was not a long trip and if memory serves, it took place in a single day. The route to the escarpment took us through some lush landscape locally termed the highlands. One of the towns on the route was amusingly named Gil-Gil, then not much more than a trading post. The highlands were favored for dairy farming and herds of cows could be seen in the lush country side. The lush landscape quickly gave way to a dry scrub once we reached the escarpment. About half-way down the escarpment we paid a courtesy visit to an agricultural mission then run by an apple farmer who hailed from Southwestern Michigan. I think that he was already in his seventies at the time and we were visit that mission once more before leaving Kenya. A few years after that, while back stateside, we visited this same man at his Michigan apple orchard. What I recall was the second trip was to the neighboring colony of Tanganyika (now Tanzania) to visit Mt. Kilimanjaro. As was the case with our trip to the escarpment, we traveled with the family from Texas. This time we traveled in two cars and due to the distances involved were obliged to spend the night in a hotel located at a high-enough altitude to be within a lush rain forest. 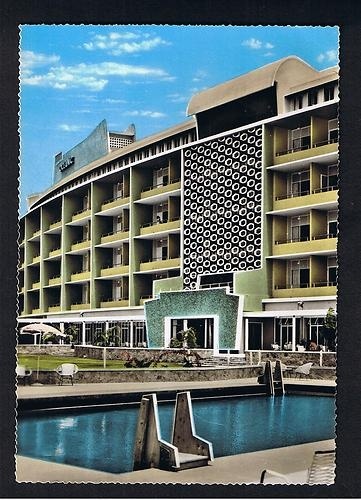 If memory serves, it was named the Kibo Hotel. The mountain rests on a high plateau at around 7,000 feet above sea level and rises to an altitude of around 19,000 feet. That makes Kilimanjaro stand out as unlike most other mountains it’s not part of a mountain chain and isn’t surrounded by foothills. Although somewhat distant from Nairobi, Kilimanjaro can be seen from Nairobi for just a few minutes after sunrise before it clouds over. As one climbs up Kilimanjaro, the vegetation transitions from dry scrub at the base to a dense rain forest (remember the clouds?) that starts at around 11,000 feet. These days I’m told that most of the rain forest has been cleared to make way for coffee production. As one climbs higher in altitude, the transition mimics what would happen were one to travel to higher latitudes. The rain forest gives way to a middle latitude deciduous forest and then to a pine forest. Eventually this pine forest transitions to alpine scrub and finally to an alpine desert. 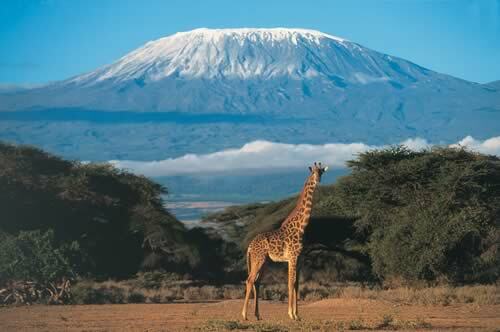 As I write, there’s still snow on Kilimanjaro but it’s predicted to be gone within a decade. Unbeknownst to our parents, on the morning of second day my friend Bud (aged 9 or 10 and armed with a loaded Leica 1 35mm camera) and I (aged 7) summarily decided to climb Kilimanjaro. We simply left the hotel grounds and proceeded to walk in what we presumed to be up along the paved roadway towards the summit. After about a mile or so it occurred to us that this ascent would take far longer than we’d bargained for and turned back. During this attempt at the summit we never left the rain forest, but recall that Bud managed to take some memorable photographs of the rain forest. There were quite a few of these and my father managed to get us to see many of them. The names I remember are Amboseli, Lake Nakuru, Marsabit (up in the NFD), Mount Kenya, Nairobi National Park, Tsavo and the Ngorongoro Crater. Due to its close proximity to Nairobi, we visited the Nairobi National Park numerous times. I vaguely remember visiting all of these parks. I recall that the trips to Amboseli, Lake Nakuru, Tsavo and the Ngorongoro Crater took several days and obliged us to stay in bush hotels. There was also the famed Treetops Lodge which I wasn’t old enough to visit. We traveled to Marsabit twice. Marsabit is located so far from Nairobi in Kenya’s Northern Frontier District (NFD) that it obliged us to go on Safari. Then and now this area is somewhat lawless and quite undeveloped. In those days there weren’t any hotels and with the exception of a vacation cabin located on the slopes of a small mountain, there were no accommodations whatsoever. On these Safaris we were accompanied by a USAID family stationed in Nairobi and used the Consulate’s MWR Safari setup that included two Jeeps and a tent. One of the Jeeps was one of those cab-over-engine pickup trucks that was fitted with a small slide in camper. On the road the men were obliged to sleep in a tent while the women enjoyed the relative comforts of the camper. As there were packs of hyenas roaming around, it was best to stay in the camper or the tent and keep a campfire going to avoid being summarily dismembered. As I just noted, the area was quite lawless. Somali bandits roamed the region as the border between Somalia and Kenya wasn’t clearly marked or enforced. If these bandits encountered a group on Safari they were known to be inclined to rob them blind. More recently they’re inclined to capture entire groups and hold them for ransom. As a precaution, in the afternoon of the first day, we were obliged to stop on the way north at a King’s African Rifles Fort to take on protection in the form of a giant King’s African Rifleman. They always assigned one of the largest guys they had. These guys were at least six foot six in height and likely weighed in at well over 200 lbs. They were always impeccably attired in khaki uniforms and carried massive Enfield 303 rifles. They always looked awake and alert and never seemed to be in need of a bath although they usually smelled like onions. They never spoke unless spoken to and ate whatever we fed them. The NFD is basically a barren steppe interspersed with a swath of craters and a small mountain named Mt. Marsabit. Wild camels, typically not encountered elsewhere in Kenya, are usually the first game anyone sees although there are the usual vast herds of gazelles, wildebeests and other less well known antelope species. Mt. Marsabit is high enough to catch rainfall and hence covered by a middle-latitude deciduous forest. While there we stayed in a large log cabin covered by clouds. One of the peculiar things I remember was the way the builders protected if from termites: they simply applied a heavy coat of varnish over all the logs. 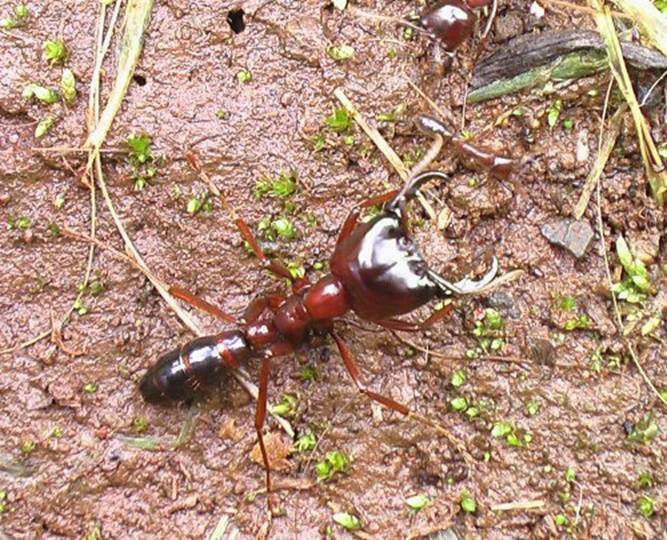 They had apparently done this after the logs were already infested as there were a few dead termites encased in what at the time of their demise was unhardened varnish, their heads and mandibles still protruding halfway out of the holes they’d bored. We stayed in that log cabin on both of our trips up to the NFD. During the second visit it rained and although this presented no problems on the mountain, we were surprised when we ascended to the plains below to encounter a vast sea where there had been a desert steppe the day prior. It was amazing as for as far as the eye could see, from horizon to horizon, there was water. We had to turn around and spend another night up that mountain. I don’t remember much about the Ngorongoro Crater except that there was a great deal of game including lions. For some reason the game there seemed unusually healthy. The lions were obviously well fed, huge and not the least bit concerned with our intrusion into their realm. Although it was rare for visitors to other game parks to see lions, they were easy to find in the Ngorongoro Crater. These are both massive game parks which took us at least two days to visit each. In addition to all the gazelles and wildebeests, there were herds of elephants and giraffes. We encountered Rhinos and saw Hippos near the watering holes. We may have seen a pride of lions and the occasional leopard. Cheetahs were not an uncommon sight. As a rule, with the exception of packs of hyenas, the predatory creatures are far fewer in number than the herbivores they prey upon. I think this bit about Tsavo and Amboseli marks a good end point for this installment. I’m not sure what will serve as the next installment’s focus but I’ve a hankering to discuss the trip to Mombasa and Malindi. I was concerned about moving to Africa. I feared that I’d be unable to communicate due to the language barrier. I first raised this concern to my mother weeks before our flights to Paris and again on the eve of our flights from Morocco to Kenya. For some reason it never occurred to me that there’d be similar issues with France, but Africa was a different story. My mother assured me that there’d be no problem because English was spoken in Kenya. Oh really? No matter how often she explained it, I just couldn’t wrap my head around the idea that we in America spoke English. Looking back though, I must conclude that my concerns would soon be at least partially validated once my parents enrolled me in Nairobi Primary School. George Bernard Shaw is attributed with saying: “England and America are two countries separated by a common language.” Mr. Shaw’s sage remark certainly hit home with me! One encounter stands out. It was when a school mate posed a question. As I hadn’t picked up from the inflection in his voice that he was playing the smart-aleck, I answered in straight-up manner. His response: “Not half you did!” caught me quite by surprise and gave me quite a jolt. This was one of my first introductions to that English dialect then spoken in the some UK circles and the Crown Colonies. Soon I’d get the hang of it, so much so that my version of the “Cut Glass” was, despite being crisp enough to qualify as such, was far too inflected for my friends back stateside to understand on the occasion of our family’s first home leave. I don’t remember much about the flights from Morocco to Kenya but recall that we first flew from Rabat to Rome where we stayed for a couple of days. While there we went on one of those guided bus tours that feature tour buses equipped with curved rooftop windows to enhance one’s viewing experience. We were shown the Coliseum, the Spanish Steps, the Piazza del Campidoglio and the Forum. I recall that my mother wondered why the Romans never troubled themselves to repair all those ruins. She made similar observations when we were in Paris except that there she wondered why they didn’t replace all those old buildings. These observations were to have a subtle but profound influence that would only be shaken decades later by a stiff Beaux-Arts education! Early on the day we left Rome my father took me to tour the Central Train Station or “Roma Termini”. It was less than a decade old then. It was stark but yet of appropriate scale and elegant. As we walked down one the adjacent sidewalks we came upon a small store window within which was a miniature train set, possibly my first sighting of a Märklin “Z” Scale model train. I suspect we flew to Nairobi on an Ethiopian Airlines DC-7. The flight from Rome to Nairobi was what we now refer to as a “Red Eye”. In those days of propeller-driven aircraft, flights were much longer than they are today. We arrived in Nairobi’s Airport, then called “Embakasi”, around mid-morning and once through customs, met by members of the Consulate staff who whisked us downtown where we were checked into the New Stanley Hotel. That afternoon we were taken on a tour of the Nairobi Game Park. I never saw so many animals in one place before. And mind you, these were wild animals. At one point my father explained to me that in just a few hours I’d seen more wild animals that he’d seen in his entire life. We only stayed in the New Stanley for one night. The next six weeks would be spent at the Norfolk (pictured above), a place of legends if you agree with the lore. It was straight-up British Colonial. 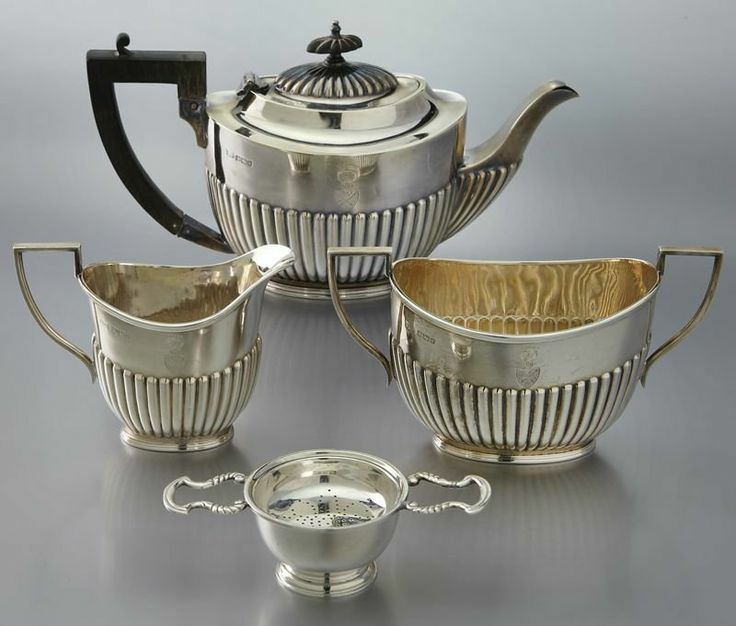 In addition to the usual three meal services, the dining room hosted formal teas, the first, termed “Elevenses”, late in the morning and another around four in the afternoon. There were two dinners, an early one for mothers or nannies and their children and a one later for adults and children over the age of 12. The later one was somewhat formal as gentlemen were obliged to attire themselves accordingly in sport coats or blazers. Ties or ascots were obligatory. It’s been said that Englishmen of some status aren’t given to recognizing their children until they reach their twelfth year. Perhaps their curious custom of discriminating against the young’s to blame? English food was an interesting experience. I suspect that there’s a kind of fiendish genius to the English. They went to all the trouble at breakfast to toast bread only to cool it down needlessly on those damnable toast racks! And then there was this peculiar thing they did to butter. By some method unknown to me they formed butter into rather attractive little shell-like shapes that were placed in little ice-filled bowls so they wouldn’t melt. Now this is where the fiendish genius shows its evil side: try buttering that cooled-down toast with that near frozen butter! I don’t think I ever managed to pull that off without having the toast shatter into a shower of bite-size bits. That aside, the kitchen staff always served an awesome “Madras” style curry complimented by a full range of Indian condiments at both lunch and dinner. That curry was always just one of the courses available. Curiously, the last course of the dinner service wasn’t a dessert, rather it was “Cheese and Crackers”. Accordingly, the saying “From soup to nuts.” doesn’t translate well into their English. After the evening meal it was the custom for men and women to withdraw into separate rooms, the women to a Lady’s Drawing Room and the men to a bar decorated to the hilt with interesting memorabilia. In that bar the men were given to sip whiskey or cognac, smoke cigars and spin tall tales of the better before times. And though I wasn’t yet old enough to sit the late service, my father was able to persuade the Maître d’ to allow me in on occasion anyway. One of the treats of the late service was the chance to see and possibly meet some of the British pensioners who’d taken up residence in the hotel. Among them were none other than the legendary “White Hunters” of lore. 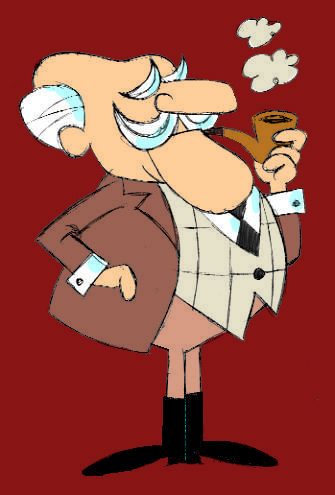 Perhaps you remember a cartoon character known as Commander McBragg (pictured above) from the Bullwinkle show? That Commander McBragg character seems a fitting stereotype by which to describe these gentlemen. The Norfolk’s dining room and bar served as stage central in that World of Commander McBragg. It was not unusual to hear these elderly gents reminisce about sporty encounters they’d had in the Khyber Pass while serving as officers in the King’s Gurkha Regiment or some such. These stories, I’m told, have had some lasting impression. We were guests at the Norfolk long enough to have stayed in almost every one of the larger rooms or suites they had. And although staying at the Norfolk is now one of those things that’s on some people’s bucker lists, I was quite relieved to move out to what would be our home for the next two years, a flat just off Ngong Road on the way to Karen. There was another peculiar custom, not unique to the Norfolk, that I feel obliged to relate. That would be the morning tea service. At night, before retiring, it was the custom to leave one’s shoes out in the corridor next to the door for the staff to shine. Promptly at 0600 there would be a knock on the door. It was a staff member bringing the tea service. He also returned the shoes, nicely shined to spectacular Number 8 finish, and brought in the morning paper if one was available. As we’d no taste for morning tea, my father asked that this service be omitted. After a few days the staff at the Norfolk knew full well not to trouble themselves with our room, especially after my father was given to throwing his shoes at those who dared enter. Later, when on safari for example, we would stay in bush hotels, typically flotillas of round huts arranged around central buildings. Before venturing back to our hut after dinner, father would always ask that the tea service be omitted. Invariably the next morning, promptly at 0600, there would be a knock on the door. The snakes in Kenya were to be feared. The post briefing book, intended as a guide for Foreign Service Officers newly assigned to what was then a Consulate and likely written by some clueless wag down at Foggy Bottom, devoted an entire chapter to the snakes but not a single paragraph to the ants, or Siafu as the natives refer to them. Yet the Siafu were far more fearsome than the snakes. A native once told me that whenever you encounter wild animals including carnivores running in the same direction in the bush, you’d best do the same because that could only mean one thing: the Siafu were about to go on safari. Something in the last of the monsoon rains sets off the safari and whatever it is, it’s carried in the air and prompts nests across the land to all go on safari at the same time. When on safari, the Siafu eat everything in their path. I was spending the night with a friend whose family rented a house in a deep river valley out towards the area where all the pyrethrum plantations used to be north of Nairobi just past the Prince of Wales High School. We’d decided to rough it and camp out in the back yard which sloped down to a tiny nasty gray stream. We had no problem setting up the pup tent and then managed to squeeze into it. Then the rains came. The tent wasn’t waterproof, a condition further compromised by the fact that our sleeping bags were touching the draped canvas. No choice; we had to retreat to my friend’s bedroom. The next day we awoke to terrible ruckus and the smell of smoke. What had happened? Once we got up it was hard not to notice that all the sugar ants that had nests around the house were active running about trying to retrieve as many crumbs as they could from the floors, tables and cabinets. Then we ventured to the dining room window which afforded us a view of the entire back yard. The servants were busy digging a trench all the way around the house and filling it with kerosene which they set alight. The chickens were out of their kier covered with what appeared to be red mud and seemed engrossed with eating something they were finding in abundance on the ground at their feet. That wasn’t mud on those chickens; no, they were covered with red ants, Siafu. As they ate to their hearts content, the Siafu covered their bodies and burrowed deep in under their feathers. Then, chicken by chicken, the collected ants, as if acting on cue, all bit into the chicken at once. The chickens put up one heck of a fuss and even tried flying away but being flightless, failed. Within seconds they were killed by the combined grasp of thousands of little red pinchers. Within a few minutes the chickens were little more than a bloody mush seething under the weight of thousands of ants. If we had managed to stay in that tent, the chickens’ fate would have been ours as well. Postscript: The friend whose house I stayed that night was named Bud and he was a US citizen. His family came from Texas where his father had been part owner of a small chain of pharmacies. As there was some tort issue regarding that partnership, my friend’s father moved the family to Kenya to evade civil proceedings initiated by another partner still residing in Texas. That partner had somehow managed to get his tort case transferred to a Crown Civil Court in Kenya. I remember when his legal team managed to move the court to rule that he could take possession of many of the family’s assets and belongings. One afternoon his traumatized mother called my mother to report that court-appointed officers came to the house and confiscated their car and several other items of value. My family lived in Kenya from 1958 until sometime in 1962. I didn’t see Bud again until the summer of 1967 when he passed through Washington, where we lived at the time, on his way to Carbondale to attend university. Except for that visit I never saw him again. I recall that he was obliged to enter into the Air Force ROTC program in order to pay for his tuition. I assume that he eventually accepted a commission and served as an Air Force officer. And to think, he could have been eaten alive by the Siafu.